This doll created in 1740 was used as a “plaything” in order to distract spirits while two men performed exorcisms. After these rituals were performed many felt various spirits must have attached themselves to this this doll during these rituals. The reason for this belief is it changes its facial expressions. 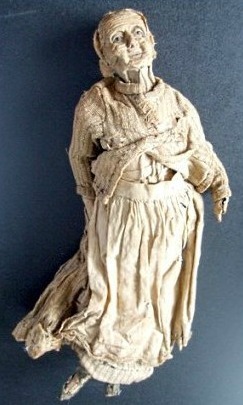 In 1888, this doll was given to Cedric Argyle Brown in London. He and a friend, the Rev. Thomas Blythe used it while performing exorcisms, around the UK, at stately homes that were haunted by ghosts. The reverend was the first to notice something odd. He felt it followed him with its eyes and he noticed that it changed its expressions. A friend of the two men photographed the doll twice—the second picture taken twenty minutes after the first. 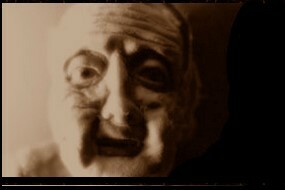 When he developed these plates he became spooked for the expression of the doll in the second picture had changed. It was now smiling. All the people who viewed these two photos were amazed by the difference in the expressions on its face—the facial features had definitively changed. Rumors began that the some of the spirits that had been exorcized must possess the doll. 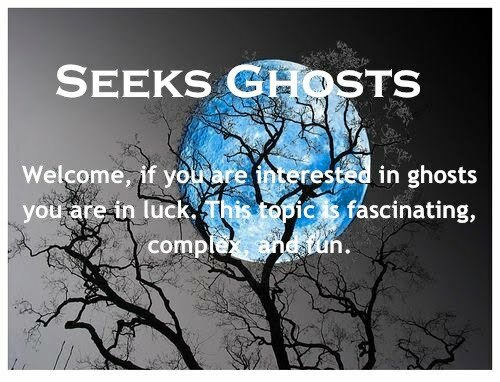 It appeared they were trapped—so it was now considered to be haunted. In the late 1950s, Mr. Brown’s grandson sold the doll to a dime store in America. While it was displayed here—old photos taken of the doll were displayed around it. A red line of tape was placed on the floor. Thousands of visitors stood behind this tape and took photos of the “possessed doll.” In most instances its' expression changed in each picture taken. Sometimes the doll looked like a boy and in other photos it looked like a girl. It sometimes was smiling and in other photos it appeared to be sad. The doll made its way back to the UK and was exhibited at the Museum of Curios in Cornwall for 7 years—until 2007. It again was photographed thousands of times. It became the most popular exhibit at this museum. This doll is made of cloth with glass eyes. It is nine inches long and because of its age it is in delicate condition.